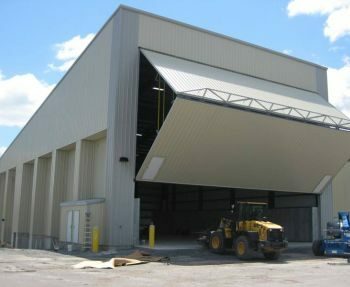 The project consisted of three clear span pre-engineered single slope buildings. 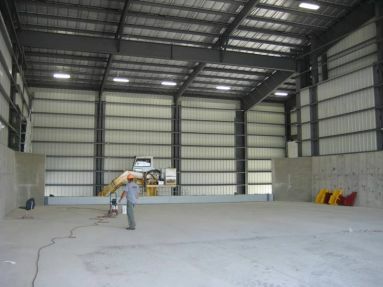 The main building was made up of a single slope 90′-6″ wide x 70′-4″ length x 52′-6″ height building and a low sidewall extension and addition of 35′-8″ wide x 86′-4″ length x 46′-7″ eave height. Open common wall between the two buildings was supported by jack beams to pick up the main frames. An 8′ wide x 17′ length x 9′ eave lean-to created a small utility room. Total combined building square footage was 9,625sf. 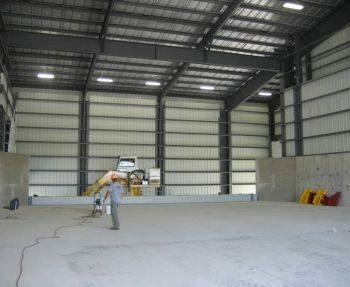 The project consisted of a combined sitework package with the owner. Substantial concrete building and retaining walls were involved, and tied into existed ledge. 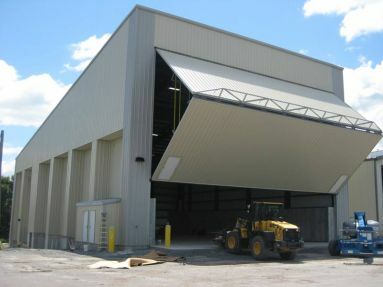 The building portion of the project included a 60′ width x 38′ height clear opening bi-fold hanger door and installation of an owner provided materials handling crane.